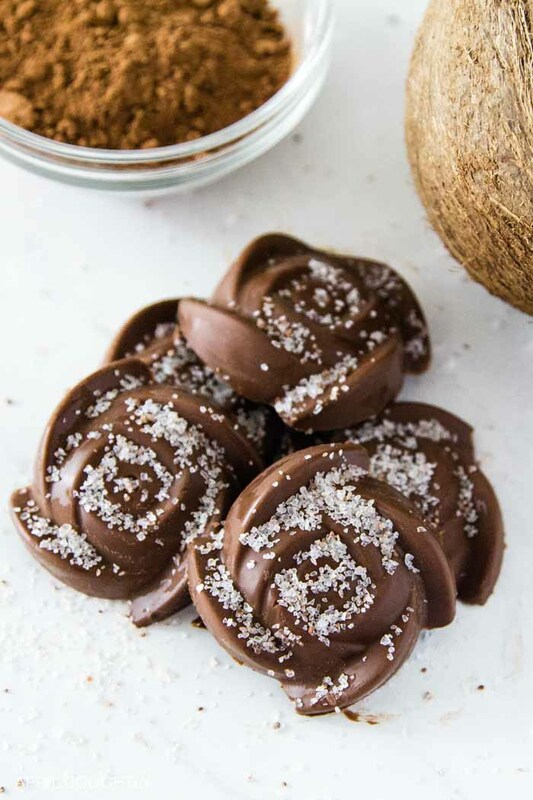 These Keto chocolate fat bombs are the perfect snack. They are portable, already portioned out, and give you that much-needed “good fats” boost you need while on Keto. I will admit, one of my biggest struggles while on Keto is snacking. There are so many snacks I want to eat….but shouldn’t. So many sweet snacks out there will throw me right out of Ketosis. Then, I discovered the joy of fat bombs. Oh my word, these are so good! It’s easy to keep myself from overeating them too. They are made into small balls, so I just allow myself one or two. Easiest portion control ever. They taste like a candy bar but have a good deal of protein and good fats instead of sugars and carbs. I make these a few times a month because I love eating them so much and they keep me on track. 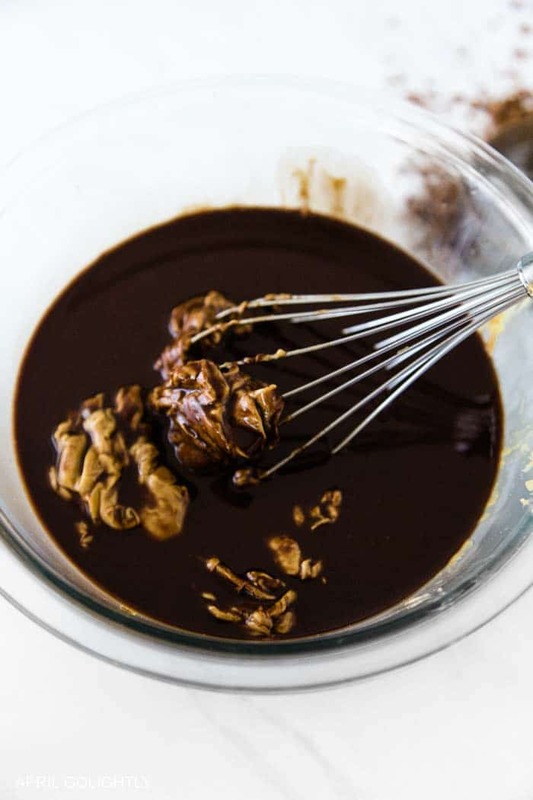 Here’s what you’ll need to make your own Keto chocolate fat bombs. Keto is an eating plan that lots of people follow to lose weight. It’s based on the idea of putting your body into a state of “ketosis” where it burns your own fat for fuel, instead of carbohydrates. I explained everything in detail in my Keto Beginner’s Guide. It walks you through Keto, showing you what to eat and how to find life-long success. In short, the Keto plan keeps users on a strict low carb plan. It’s very low carb and high fat. The term fat bomb cracks me up! It’s a funny term because here I am, trying to lose weight while eating a fat bomb. 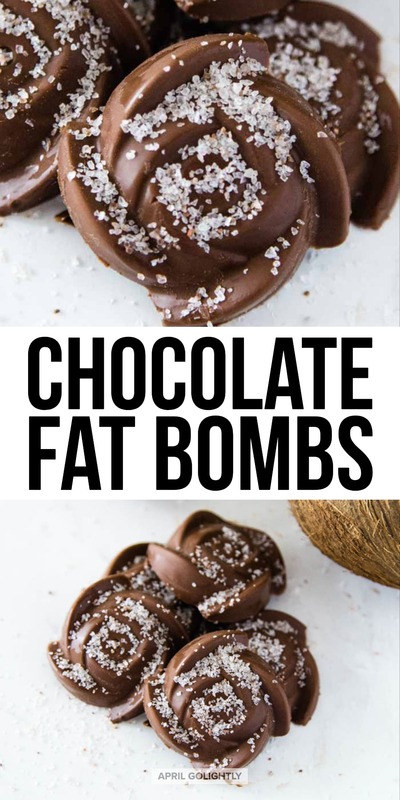 Keto fat bombs are called that because each one has a lot of good healthy fats. Have you heard of energy balls? They are snacks made up of rolled oats and fruit. These are just like them except they are made of nuts or seeds and a good fat. One fat bomb will cut your sugar craving and make you feel full. Be careful, they are so delicious you’ll want to eat them all at once! 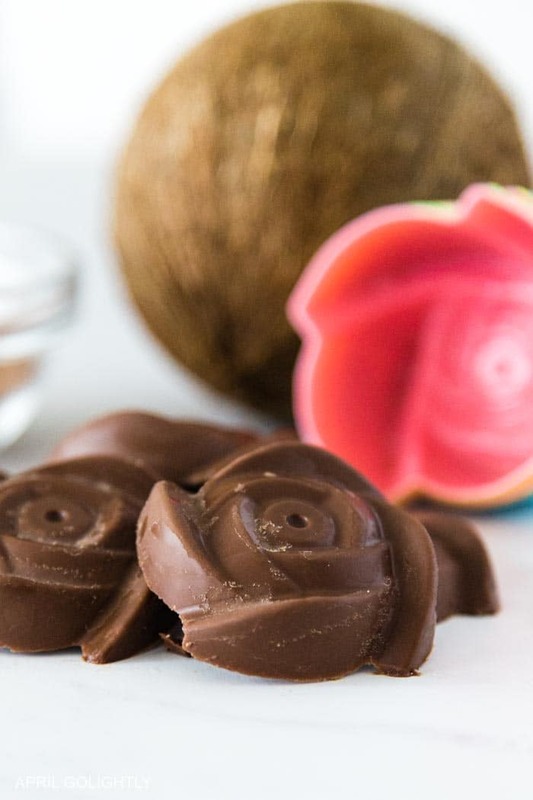 Tasteaholics – Almond Joy Fat Bombs. This recipe is similar to mine, except it has shredded coconut and a different chocolate recipe. It looks incredible! Real Balanced – Blueberry Bliss Fat Bombs. Some of the key ingredients include cashews, blueberries, and coconut butter. Yum! Dirty Floor Diaries – Sea Salted Chocolate Fat Bombs. This recipe has heavy whipping cream, sunflower butter, and cream cheese among some of the rich ingredients. When do you eat fat bombs? I personally enjoy eating them during the day when I am feeling a little hungry. These are perfect for when that hunger strikes in between meals. You can also eat them before bed so you have the energy to burn as you sleep. Yes, almond butter is Keto friendly. Be sure to look at the label and pick the ones without any added sugar. If you want, you can also make your own almond butter. Here is the complete recipe for my Keto chocolate fat bombs. Pin this recipe so you can find it later. How to Make Keto Chocolate Fat Bombs? In a small saucepan, add the 1/2 Cup of almond butter and 1/2 cup of coconut oil. On a very low heat, melt these together. Add the 1/2 cup cocoa powder and 1 Tablespoon Stevia in the Raw. Take off heat and put into a pouring container and add a pouring measuring cup. Line a cupcake tin with silicone cupcake liners, or use a silicone mold. Place into the refrigerator for about 15 minutes to harden. Store in fridge or freezer in a tightly sealed container. Note: If you want to make the keto bombs in the microwave, heat the coconut oil first and add in the smooth almond butter whisking until combined. Then, add in the stevia and the cocoa powder. Perfect afternoon snack, my Keto chocolate fat bombs are packed with coconut oil, almond butter and cocoa powder. Add the 1/2 cup cocoa powder,4 Drops of Stevia, and 1 teaspoon of pure vanilla extract. Here are more Keto recipes that you will love! Try these amazing Keto Chocolate Chip cupcakes. Of course, all desserts in moderation on the Ketogenic Diet. This sweet hot chocolate recipe is an amazing choice for a chocolate craving made with Barlean’s Green Chocolate Silk that is filled with fiber and lots of antioxidants. These fat bombs have saved me from going off and eating everything. Thanks for sharing.